Wouldn’t it be great if you could get a knit tie that doesn’t have the usual flat bottom? Well, that’s exactly what the guys behind We Are Dapper Ties are doing. While most knit ties are made with a flat bottom due it being cheaper to make that way, a knit tie with a pointed bottom is dressier, unique, and looks great as a textured addition to your outfit — and it’s is even reminiscent of a grenadine for much, much less. The company was started by two college guys, and I was excited to order from them as soon as I stumbled upon their site. 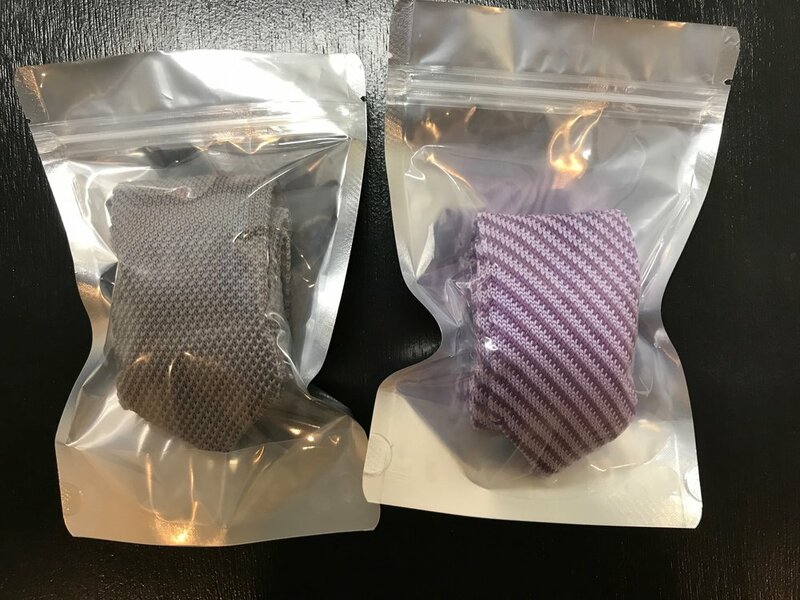 Shipping is free over $100, which is a lot of ties at about $15 a piece. Otherwise, it’s a $5. The ties will show up a few days later in less than impressive packaging but also with a super impressive hand-written note from the founders. Their website could use quite a bit of work, and there is also only a 48 hour return window — but they will send you a label and give you a full refund, so that’s good. These ties are solid quality. There were no visible pulls or snags in the material. (Though, speaking of material, I am unsure what these ties are made out of. No text on the site, nor tag seems to say. Though, they feel great, and are likely mostly, if not all, cotton, but don't hold me to that.) The weave of the knit is tight and looks great — the texture feels like any other knit tie I have felt. I own a Michael Bastian knit tie which also comes to a point, and while the Michael Bastian tie is certainly heftier, they both feel nice, and they both make a very nice knot as well. Speaking of those pointed ends — they are clean, and neat, and look absolutely great. I got a plain, solid grey tie — it’s a super versatile color — as well as a purple and white-ish striped tie — which I got to add some color to my tie collection. They both look real nice in person in terms of both their color and their weave/texture. The purple is a super nice blend with the white, and the grey is neither too dark, nor too white. They also offer a whole range of other solid color options, as well as patterned, dotted, and striped options as well, so this is far from slim pickings — and all come with that awesome pointed tip. Their designs and patterns are more extensive than you might think for a start up, and they hit all the right notes. Of course, the pointed edge of these knit ties is a unique "flair," and something that will stand out in a good way, as someone that sweats the details. 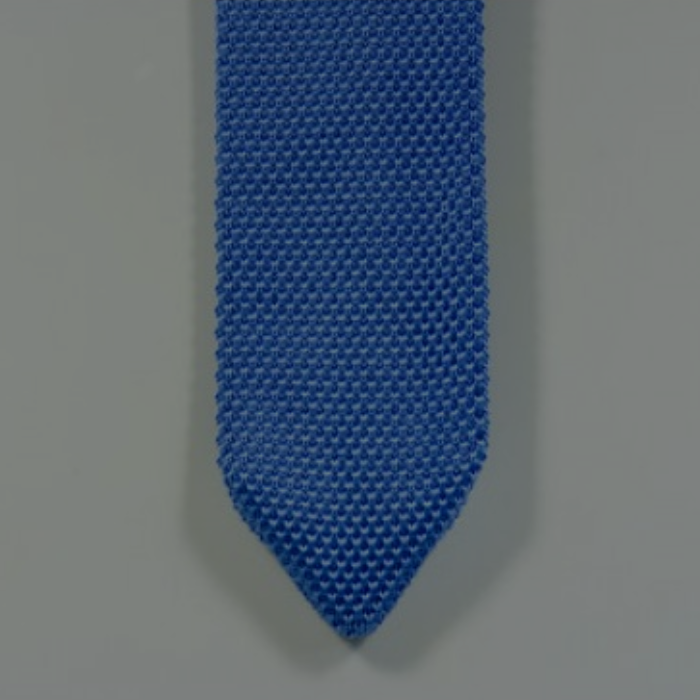 It also does dress up the tie a bit, so you can wear the texture of a knit tie even in dressier circumstances. As to the width, they’re skinny ties. This is pretty typical of knit ties, but I would still love to see even somewhat wider widths here (my Michael Bastian tie is indeed a bit wider, at 2.50", for instance). 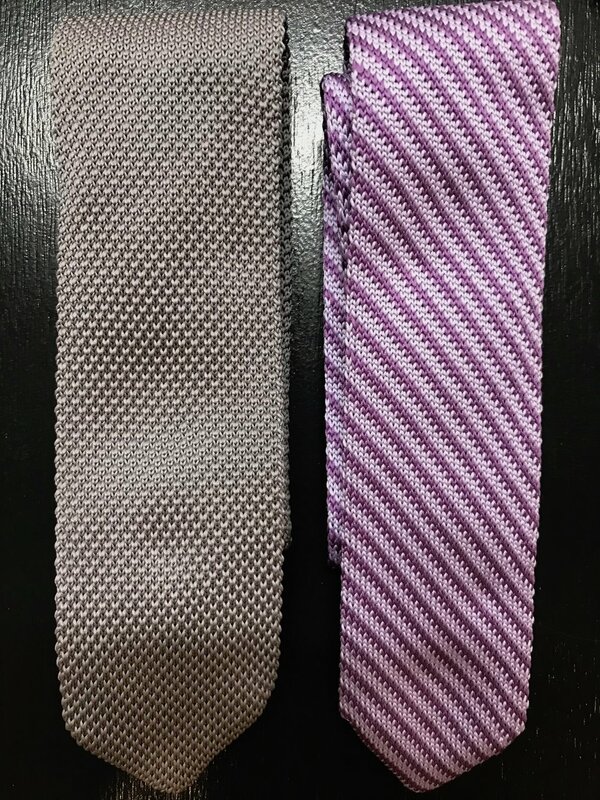 The purple tie was just a tiny bit over 2.00" wide, while the grey was a more reasonable just-over-2.25" wide (see this picture for a better idea). There was no mention of the fact that one would be wider than the other on the site, and I’m unsure if this discrepancy was even intentional, or a manufacturing issue. Overall, they do a great job with the look and feel of these. For $15, this is certainly on par with something you would get from, say, The Tie Bar. The patterns might be just slightly more unique, while the quality is just about the same. If the idea of a knit tie with a pointed tip sounds good to you, then look no further. Assuming you don’t mind the thinner widths of these ties (which, after all, most knit ties have), then for $15, I don’t think you can do much better than these. For one, their quality is definitely solid. Two, I don’t know of many other places where you can really even get this kind of a tie, at any price, much less for $15.